1. Marie Claire Magazine: I did the cover lettering again, and for Gwynie to boot! Check out Sept. if you missed it. 2. 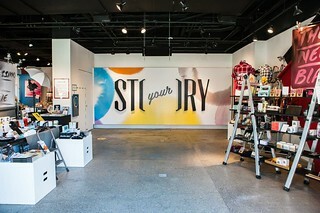 Story: STORY, the coolest store in NY takes the point of view of a magazine, changes like a gallery and sells amazing things. I was so excited to illustrate portraits, hand letter signs and more for Your Storyin collaboration with Awesomeness tv. 3. 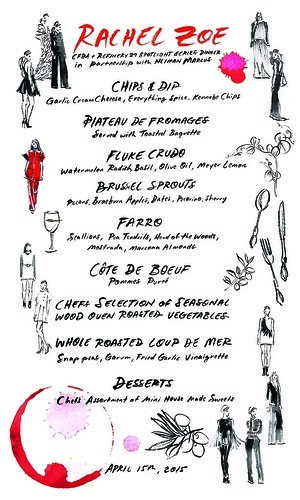 Refinery29 + the CFDA hosted a dinner honoring Rachel Zoe: I did the menu. 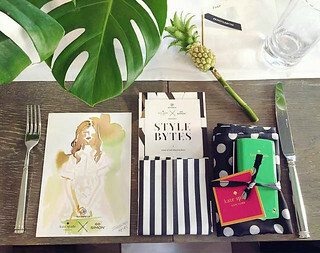 Fashion X food. What could be better? 4. Refinery29 + Kate Spade Style Bytes event: I did live portraits of the coolest people at SXSW. Extreme whirlwind trip/extreme fun. 5. American Illustration 34: I’m honored to have this piece for Vogue Nippon chosen for AI34. 376 images out of 9,175 submitted were picked (imagine a wide eyed emoji here). 6. Condé Nast Traveller: I lettered a logo for a new feature called Voyages. Look for it in a few weeks on the newsstand, online and with a peek on maquette of the process and scrapped explorations. 7. The Art of Hair book by Rubi Jones: Rubi is one of my most talented friends and collaborators. 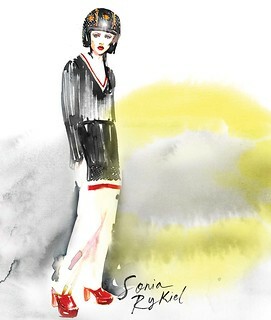 I was so psyched to illustrate her book! Get it! 8. Hatch Collection: Shibori inspired watercolor prints for the spring collection. The jumpsuit is my fav. 9. Afternoon Tea (Japan): I illustrated cherry blossoms for a Sakura collection–featured on about a million bath products, tea table products and even paper goods. They printed my name on each. The link above includes a little feature about me. How nice. 10. 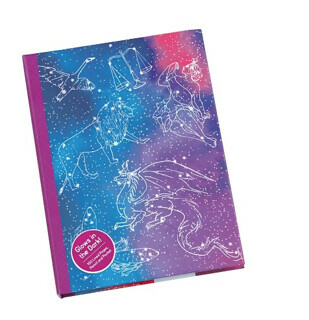 Galison/Mudpuppy: I loved illustrating this dreamy Deluxe constellation journal(glows in the dark!) and notepad (lenticular=rad!). 11. Vidal Sassoon: I did live portraits for editors at an event and also created art/lettering for the space. 12. 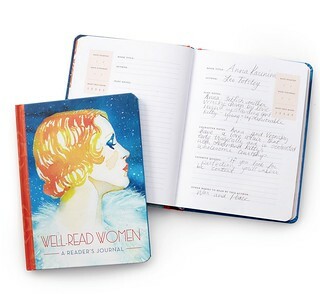 If you like my book:Well-Read Women: Portraits of Fiction’s Most Beloved Heroines you can now pick up a reader’s journal that has space for you to wax poetic about your favorite reads: Well-Read Women Reader’s Journal. 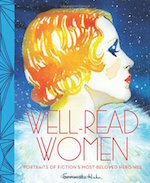 You can also get some limited edition archival prints from the Well-Read Women book from the book from Uncommon Goods. * News: I’ve been working so hard on my second book coming out with Abrams in spring 2016. 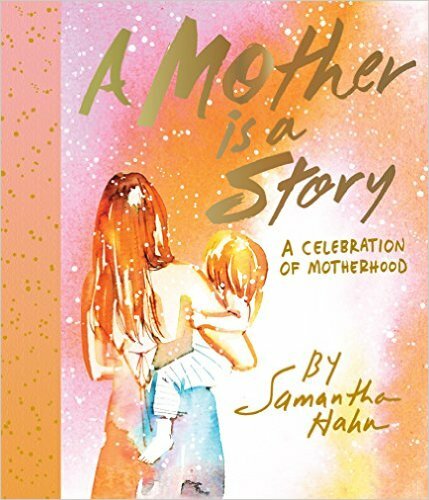 It’s called A Mother is a Story: A Celebration in Watercolor and Word. There will be a prompt journal as well called Stories for My Child: A Journal of Memories from Your Mother. Sneak peeks to come. (most likely on instagram)!